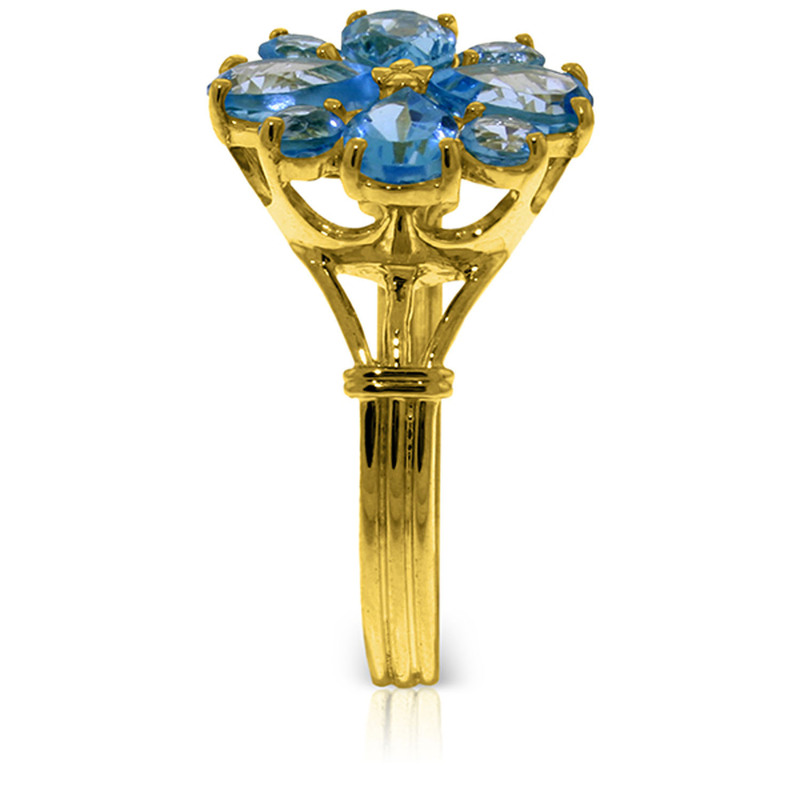 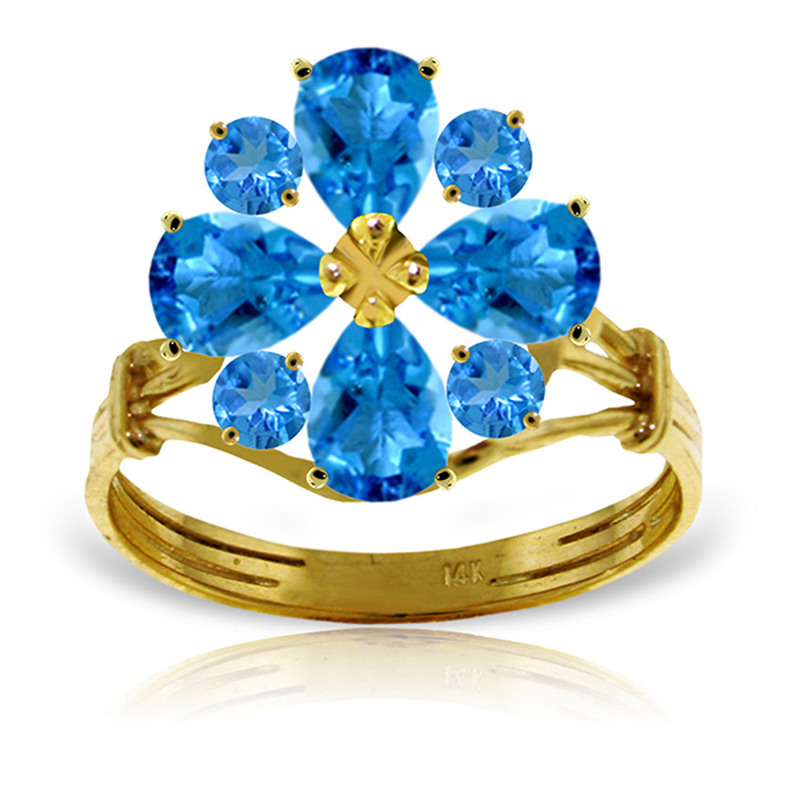 That special someone won't be singing the blues when you present her with this amazing 14k solid gold ring with natural blue topaz. 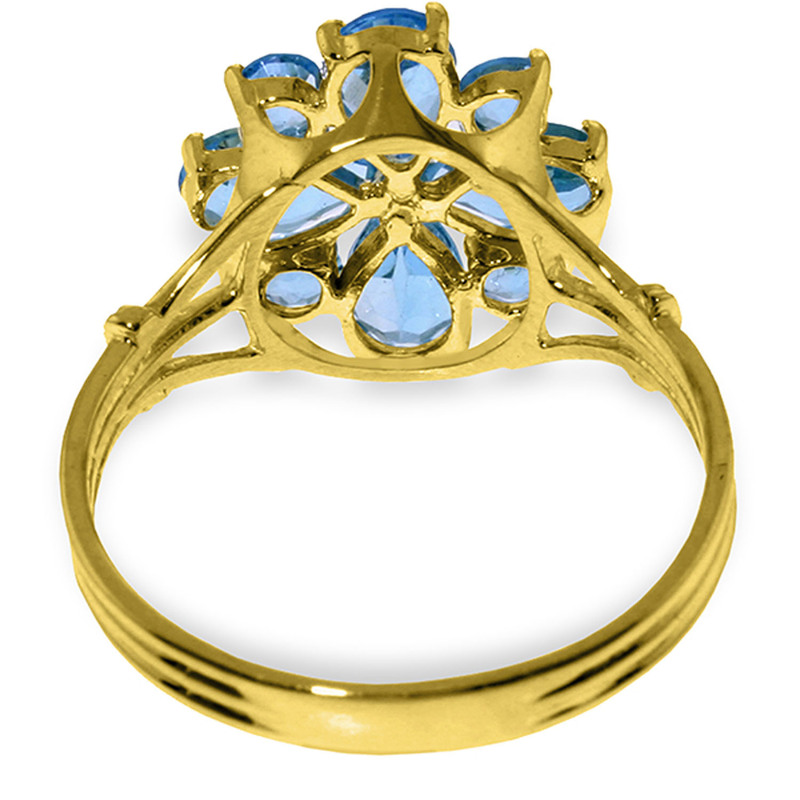 The unique band of this ring shows careful and exquisite craftsmanship, while being made of your solid 14k yellow, white, or rose gold. 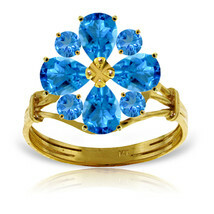 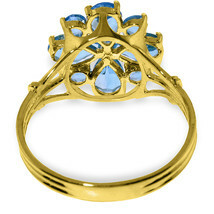 Four pear cut blue topaz stones are combined with four round cut vibrant blue topaz gems form a beautiful and amazing floral shape that makes this ring unique, with over two carats total of beautiful color that radiates from each stone. 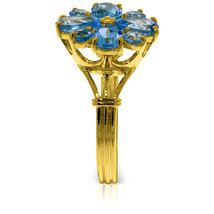 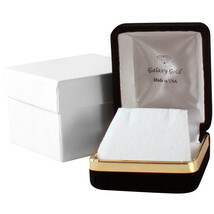 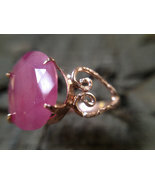 This fine ring is the perfect gift for the feminine woman celebrating a December birthday.